Seating is limited. Register now and reserve a premium seat and to enter the exciting giveaway! Early-Bird ends March 31st. This ground-breaking conference was started in 2008 as the first Harvard-wide conference organized by students on the topic of negotiations. 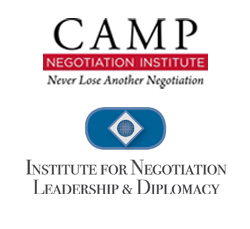 Since then the conference continues to take an innovative and practical look at issues that are either under-studied or otherwise that are trends shaping the field of negotiations. By combining discussion on such issues with leading scholars and practitioners from business, law, government and academia, this event provides a platform for those looking to significantly enhance their intellectual foundation and practical skills. Copyright © 2011 Negotiation & Leadership Conference. All rights reserved. Harvard and its logos are registered trademarks of The President and Fellows of Harvard College. This site is not operated by Harvard University, and the contents are not endorsed by Harvard University.